Many people know how to talk, but few how to speak. It is incredible how much information can be lost by the mere lack of the ability to say it. Indeed, to quote Ben Johnson, “to speak and to speak well, are two things”. Politicians and diplomats are people who today are required more than ever to speak. To resolve issues peacefully through discussions and negotiations. But everyone knows all too well how many misunderstandings and how much trouble can be caused by inability to express precisely what it is you mean. And even more so, to do it clearly. And above all enunciate. Being able to speak and being able to get your message through are indeed two different things. And the ability to effectively communicate all that is necessary and nothing more; to inspire things to be done; to paint the thoughts in your mind and convey them to the audience; that is true eloquence. In its purest form, eloquence is about passion. It lies in saying things simply but gracefully; with enthusiasm and belief; with the underlying force of persuasion. It is about being fluent not only in what you say, but in the way you say it. About convincing your audience of the authenticity and spontaneity of your thoughts. And about conveying it in such a way that your audience becomes mesmerized, gripped by your every word, and ravelled by the feelings emitted from them. With eloquence, talking becomes not only just uttering words. It is about actually saying something. Reaching into people’s minds and imprinting them in there, so that in any random instant those words come to mind. Great orators can do that. In the popular series CSI, they usually break down the trajectory of a flying bullet into a person, depicting in precise radiography-shots how it reaches the organ it afflicts. That is exactly how eloquent speakers can direct their words straight into the brain cortex. With the precision of the most ardent craftsman. In essence, eloquence is an art. Not everyone can do it. And it requires a mixture of talent and skill. From Mark Anthony’s famous opening line in William Shakespeare’s ‘Julius Caesar’, “Friends, Romans, countrymen, lend me your ears“, to JF Kennedy to Winston Churchill to Martin Luther King to Barack Obama, eloquent speakers are an integral part of politics. And those who are mostly remembered are precisely those who knew how to address their audience. Who knew what to say, when to say it, and more importantly, how to say it. Great speakers are reminiscent of Ancient Greek orators who were able to influence and change the emotions of their listeners, not just inform them. 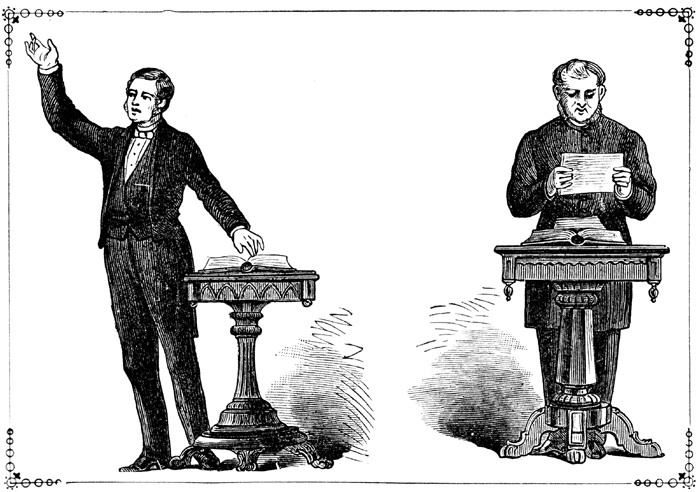 In their time, public speaking occurred in a structured, deliberate manner intended to inform, influence, or entertain listeners. Speaking happened for a reason and not simply for the sake of talking. Good orators are filled with passion for what they are saying and are able to transmit to their audience that very feeling. They are able to convince their listeners that they know what they are talking about. Even if they disagree with what the speaker is saying, if expressed well, that won’t matter. The essence is conveying an opinion and persuading people to listen and accept it, no matter how different it may be. In current times, everyone considers himself to be a speaker. But few actually have what it takes to be characterized as an orator. Today, politicians so often appear making speeches here and there, without actually saying anything. Some cannot even read scripts placed in front of them, while others simply talk as if they are addressing customers in a shop. Politicians more than any other should be able to speak. Unfortunately though, what we so often see today is quite the contrary. They appear improper, crude, uncivilized and even uneducated. Exactly the opposite of what is expected of the representatives of the people. They should be able to address the people’s concerns, and demonstrate that they share the people’s problems. They should appear passionate about solving them and about involving the people in this process. After all they are simply representing popular will, even though many seem to forget that once in power. Instead, what we daily see are politicians disinterested in the problems of the lower straits of society and only serving the interests of the wealthy. Politicians who instead of fighting to improve the lives of their citizens, appear to only be improving their own at the expense of the citizens. And politicians who do not even have the fluency to speak in their own native language, let alone another, in order to communicate. Eloquence is a dying art. And when – in glimpses – it appears, it is more than welcome. US President Obama is perhaps one of the most eloquent speakers of our time. He knows how to address his audience, how to use examples of their own lives, values and beliefs, in making his argument; how to draw their attention and keep it throughout a 40-minute speech. He knows what to say and what words, similes, metaphors and idioms to use to express it. It is no wonder how many thousands of people gather each time he makes a speech. Obama is an orator. And he can actually convince his listeners that he believes in what he says, that he is trying to do what he proposes, and that he will eventually accomplish all that he promises. He even has the ability to reach into people’s feelings, to touch them, and to inspire them. People often end up in tears, after his speeches. But they are all so passionate, so motivated, so inspired. And that is exactly the objective of eloquence. Of convincing, inspiring, motivating, affecting. With dignity, fervour, and grace. If it is true that flattery won’t get you anywhere, then eloquence probably will. All you need is the courage to be able to say what you want, the fluency to express your thoughts, and the judgement to know what to say, when to say it, and to whom. I apologize if I seem rude, but the line “Friends, Romans, countrymen, lend me your ears…” was spoken by Mark Antony in Shakespeare’s play “Julius Caesar”. Thank you for pointing it out! Don’t know how I missed that.